Avesil Introduction This weight loss supplement asserts to promote weight loss by boosting one’s energy, increasing metabolism and torching calories. This weight loss supplement asserts to promote weight loss by boosting one’s energy, increasing metabolism and torching calories. 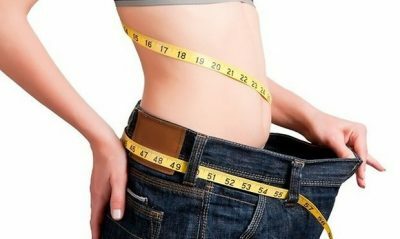 Avesil says this product can encourage more weight loss as you also undergo dieting and training. With the efforts on your part to lose weight, Avesil triples this by making you shed pounds three times. The company is headquartered in Miami, Florida. It is listed with the Better Business Bureau, but it has a rating of C- based on 104 closed complains in the past 3 years. The complaints made are mostly with regards their 14-day trial and membership plan. Apart from their poor standing with the Better Business Bureau, Avesil also has mostly poor reviews online. The grievances of the users are mostly about the product’s ineffectiveness, inefficient customer service and the challenge one has to endure in order to cancel their trials and get refunds. According to the company behind this product, Avesil is a harmless and efficient weight-control formulation developed with the use of components backed up by significant clinical studies. Its manufacturer added that 284 scientific researches were actually mentioned to support their assertions. However, none of these studies are accessible on the official site of Avesil, so there is no way we can verify these claims of scientific studies. Regardless, Avesil says it is a weight loss supplement of high quality. 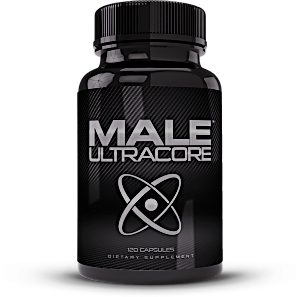 This promotes weight loss by making use of components that serve as thermogenic and lipolysis catalysts or agents. This results to increased metabolism and burning of fat, which makes you lose weight three times than by dieting and working out alone. Thus, it does not solely facilitate weight loss, but intensify the body’s processes of burning fat as you also practice dieting and workouts. For visibility of results, suggested dose for this product is ingesting one pill two times each day 30 minutes before having your meal. When this is properly done, the company claims you can notice positive outcome within 10 days. This weight loss supplement can be purchased from its company as part of its 14-day free trial. This starts from the date your order was made. You’re still required to pay $3.95 for S&H fees though. If you want trial cancellation, you need to return the bottle to the manufacturer, covering the shipping cost even if it’s totally drained from its content. But if you don’t reach out to the manufacturer for cancellation of your trial after 14 days, your credit card will be charged $89.95. You will also be enrolled in their autoship program. This means your supply of Avesil will be automatically replenished every month and you will be charged the same amount of $89.95 plus $5.95 for shipping and handling fees monthly. For cancellation of your trial or autoship enrollment, call customer service at 866-730-3330 from Mondays to Fridays for your RMA #. Final Verdict: Is Avesil the Real Deal? Firstly, companies producing weight loss and other dietary products typically say they’re using exclusive blends of formulations in their supplements. Why? So, they don’t need to divulge the quantity of their active components in the formula. Because supplements are not assessed by the Food and Drug Administration, they frequently include less amount of ingredients, or, unfortunately for users, none at all. Then, this weight loss supplement makes use of chromium as its main component. On the other hand, chromium does not significantly illustrate that can be useful in weight loss. As the National Institutes of Health said, “Chromium supplements are sometimes claimed to reduce body fat and increase lean muscle mass. Yet a recent review of 24 studies that examined the effects of 200 to 1,000 mcg/day of chromium (in the form of chromium picolinate) on body mass or composition found no significant benefits. Another recent review of randomized, controlled clinical trials did find supplements of chromium picolinate to help with weight loss when compared with placebos, but the differences were small and of debatable clinical relevance. In several studies, chromium’s effects on body weight and composition may be called into question because the researchers failed to adequately control for the participants’ food intakes. Furthermore, most studies included only a small number of subjects and were of short duration.” What’s more is that the chromium in Avesil originated from Meratrim, which lacks substantial clinical trial. Furthermore, it is known by now that many companies often claim that their products and even their ingredients are substantiated by clinical studies when they’re really not since they cannot supply any links or references to these researches. For instance, Avesil’s company said there are 284 studies supporting their claims, but there aren’t links or references showing these studies on its website. Lastly, this weight loss supplement is not reasonably priced. It is actually expensive considering we’re not 100% sure if this can really deliver. Its customer reviews are mostly negative, citing inefficiency, bad customer service and the trouble customers go through in order to cancel their trials or get refunds. There were even some reports saying users encountered side effects such as moderate to serious skin rashes. As a final point, if you’re considering on giving Avesil a try, be sure to talk first to your doctor. Also, bear in mind that proper nutrition and engaging in fitness activities on regular basis are also crucial if the goal is to lose weight in a healthy way. In reality, supplements are not enough to bring out changes in the body.